If you are trying to measure how your Android application is performing, the Google Play Developer Console offers you a wide range of reports on the performance of your app; such as installs, ratings, crashes, and more. How to integrate Google Play Developer Console with Databox? For a successful integration, you will need to login with your google developer account and provide your ‘App ID’ and ‘Developer Account ID’. For security reasons you must invite a user which we provide. 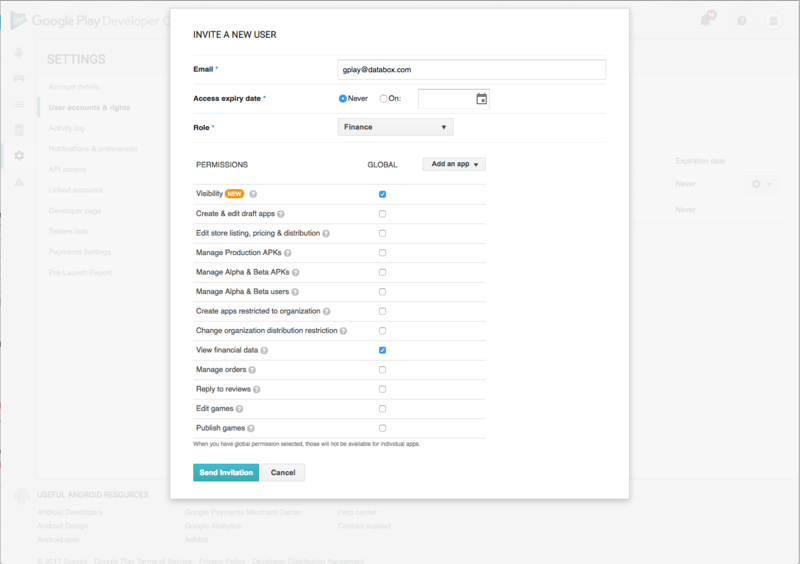 Add global permissions for "Visibility" and "View financial data"
Afterwards wait for the “Invitation accepted” email. Then you can continue connecting. Your App ID and Developer Account ID can be found in the URL when you navigate to your application in your Google Play Developer Console. The numbers “0123456789” stand for your Developer Account ID and “com.your.application” for your App ID. Write them down. 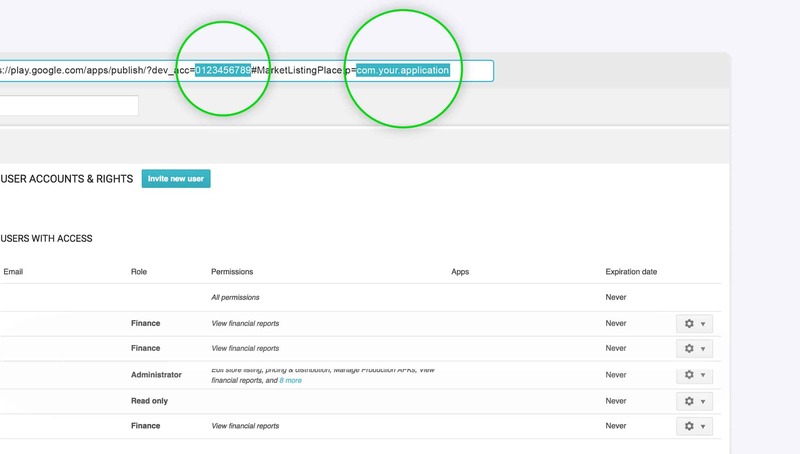 Provide your App ID and Developer Account ID from the 3rd step and click Activate. It takes ~1 min to activate the integration. After successfully activated, Databox will start fetching your Google Play app statistics. 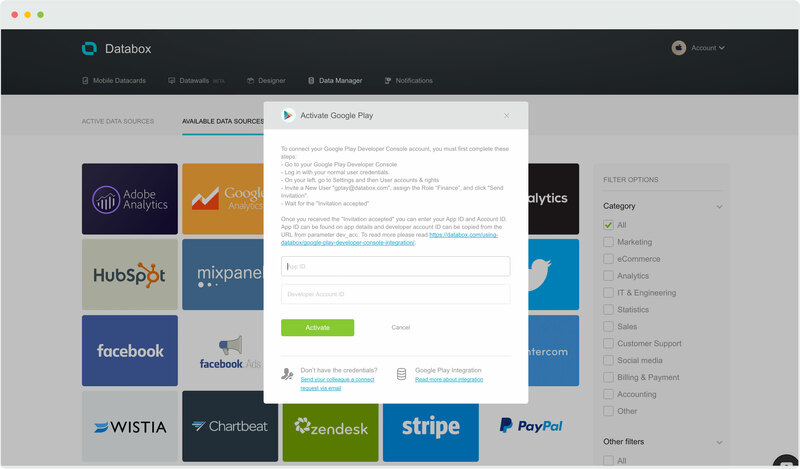 With the integration for Databox, you’ll be able to quickly and easily assess your application performance on Google Play market on your mobile device. 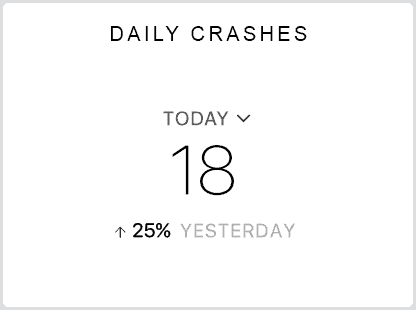 Are probably the most interesting metric for your application. They quickly tell you how many users are using your application. Installs are also very important for your application store ranking. 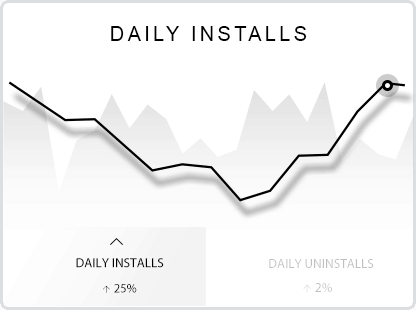 The more installs you have the higher your ranking will be. One of the main factors people take into consideration before downloading an app is how high of a rating it has. One of the main reasons apps are rated poorly have to do with technical problems or crashes. 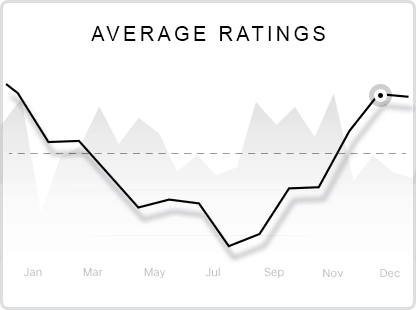 If you see a sudden drop in your ratings, your app may indeed have a bug. Databox also offers an iTunes Connect integration. That way you can compare how your app performs on different platforms.